Lake Cadillac is the crown jewel of our community's natural resources. The city of Cadillac exists here because of the presence of Lake Cadillac (see the Cadillac History page for more information). Throughout Cadillac's history, the lake has provided a source of economic vitality for the community. Early on, the lumber industry utilized the lake to move raw materials. Today, Lake Cadillac helps sustain a thriving tourism industry in Cadillac. People come to the community year-round to enjoy activities such as fishing, boating, swimming, kayaking and canoeing, ice fishing, snowmobiling, and more! 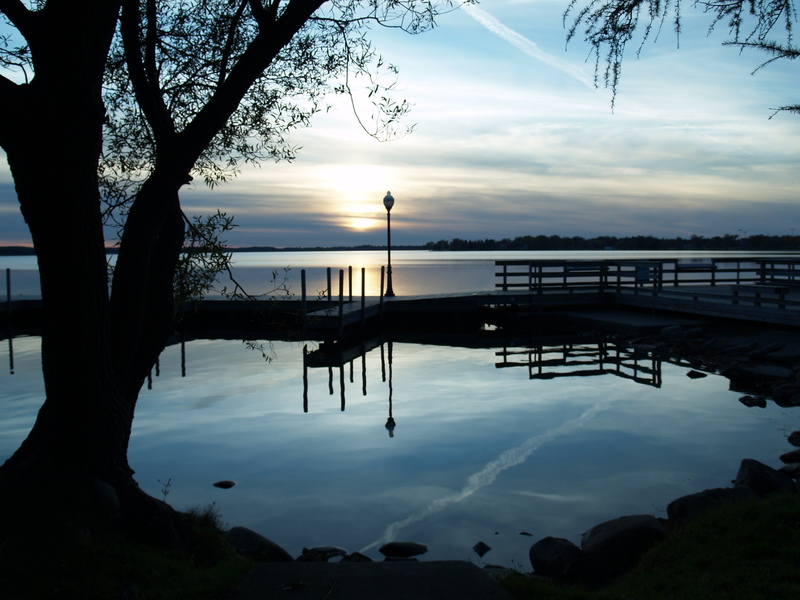 The importance of the lake to us, now and in the future, is why we strive to carefully manage it so that it may be enjoyed by residents and visitors for generations to come. In recent years, part of that effort has come via the Lake Cadillac Milfoil Management Program. For an up-to-date look at the state of invasive species on Lake Cadillac, see the Lake Cadillac Invasive Species Control Program 2015 Annual Report. Lake Mitchell is located one-quarter mile west of Lake Cadillac. The two lakes are connected by a canal that was dug in the 1870s to allow for logs to be floated from Lake Mitchell to lumber mills along the eastern shore of Lake Cadillac.